Products Liability Archives - Groelle & Salmon P.A. 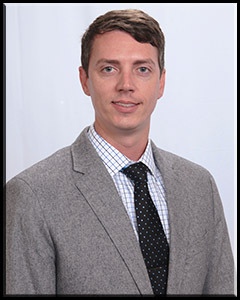 Mr. May is a partner focusing his practice primarily on subrogation. The cornerstone to our success is also the key to your success – our attorneys’ ability to skillfully and successfully represent firm clients and advocate our clients’ interests through competent, aggressive, and intelligent legal counsel. Our difference is the individualized care we provide for your situation. Groelle and Salmon's team of experienced caring, competent attorneys across a wide range of specialties, ensures we can provide big firm resources working together to solve your individual legal problem. With offices located in Palm Beach County, Hillsborough County, Miami-Dade, Sarasota, Indian River County, and the Orlando area, the firms maintains a strategic presence on Florida’s east and west coasts, and in central Florida, to efficiently and economically serve our clients’ legal needs and continue to deliver quality and economical legal services to an expanding client base. Groelle & Salmon , P.A. was selected for the 2013 Florida Excellence Award amongst all its peers and competitors by the Small Business Institute for Excellence in Commerce (SBIEC).